Investment director to become interim COIO during replacement search. 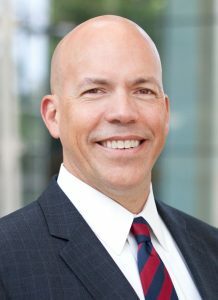 Wylie Tollette, chief operating investment officer, CalPERS will leave his post January 5, rejoining Franklin Templeton Investments. After 19 years with the mutual fund giant, Tollette joined CalPERS in 2014. At Franklin Templeton, he had served as senior vice president for Portfolio Analysis and Investment Risk Management. At CalPERS, Tollette spearheaded the investment office’s investment performance and risk analytics, investment policy, manager engagement, compliance, business planning, and operations areas. One of Tollette’s achievements at the fund was his role in the launch of the Private Equity Accounting and Reporting Solution system, a proprietary tool that allows CalPERS to comprehensively report carried interest and other fee information from private equity investments. He also helped develop and implement the 2020 Strategic Plan, which assists the Investment Office’s efforts in the reduction of the fund’s costs, risks, and complexity, while also increasing transparency. Tollette’s last day at CalPERS is January 5. CalPERS investment director Matt Flynn will become the interim COIO as the fund conducts an immediate search for Tollette’s replacement.